I’ve recently caught the sewing bug and my so has my daughter! Side by side we’ve been learning easy stitches and sewing techniques by hand and via machine. 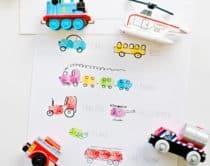 There are many ways to teach your kids how to sew – from simple stitched patterns they can follow, or simple beginner projects like pillows that show off their creative art. 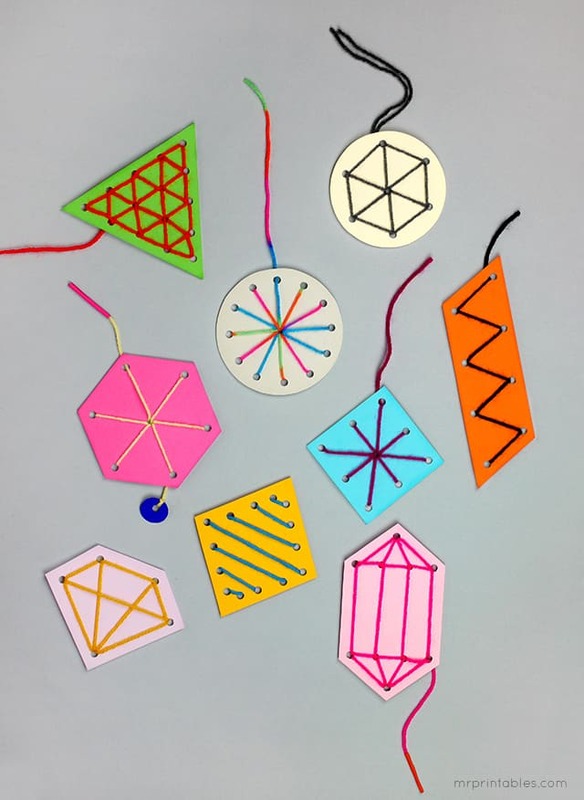 Take a look at these easy ideas to get the kids comfortable with needle and thread! 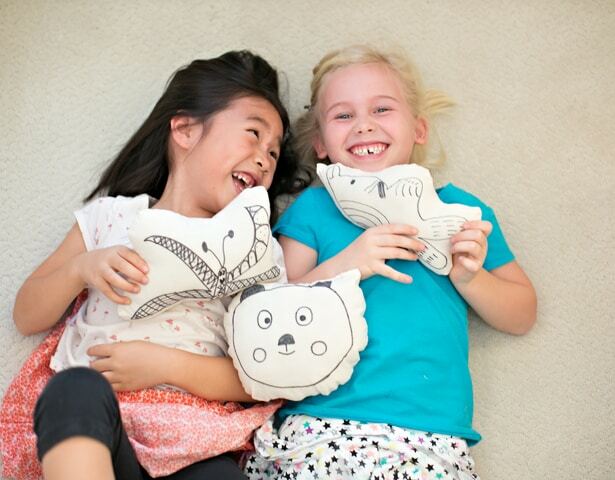 From art creation to production, the kids will have a blast designing their own cute creatures and sewing an easy pillow to show them off. 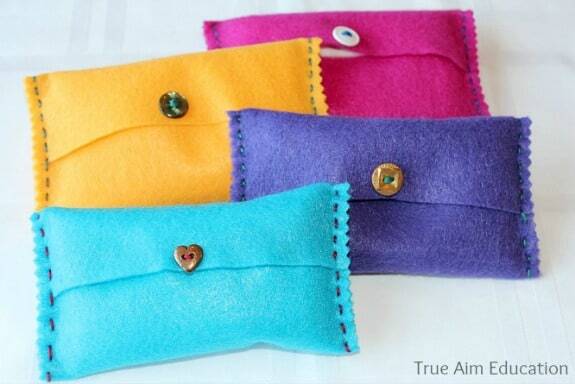 Show off your kids’ own custom stitched designs on this easy felt zipper pouch. 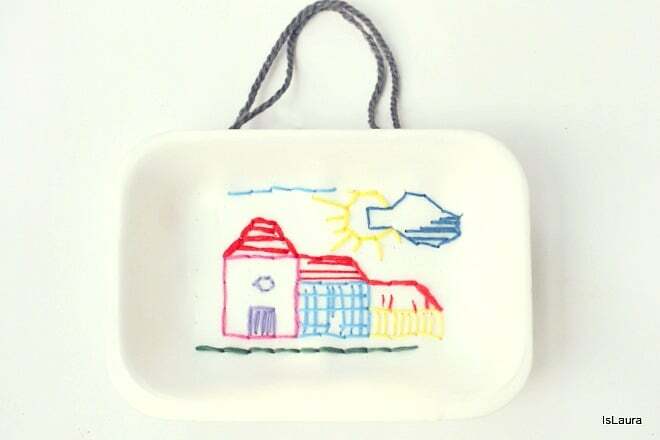 These stitched plates are a playful way to show off your kids’ art! 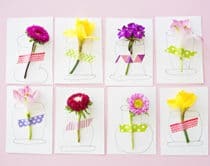 These modern sewing cards are a fun way to learn how to use needle and thread and make cute tags or cards. Free printable is included. 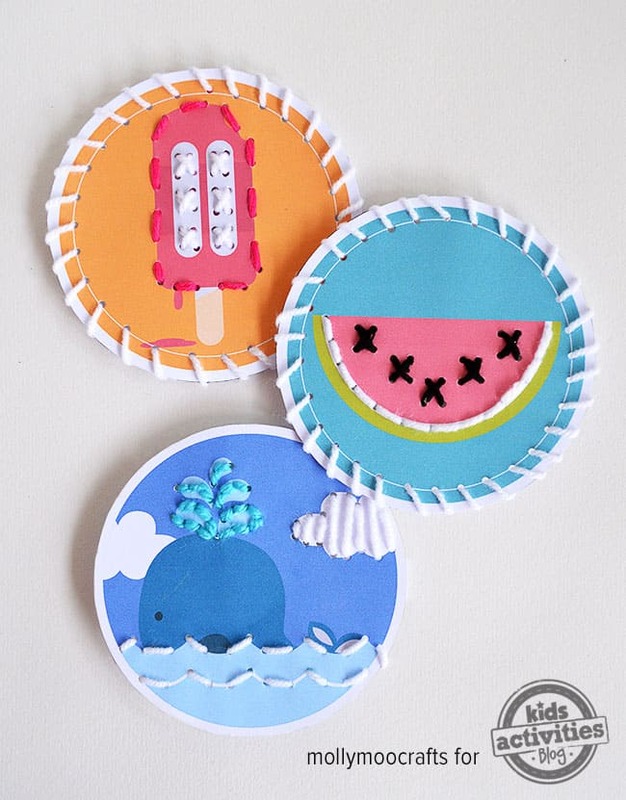 Here’s another fun sewing card template perfect for summer projects! 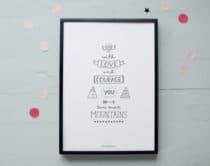 Free printable templates are included as well. 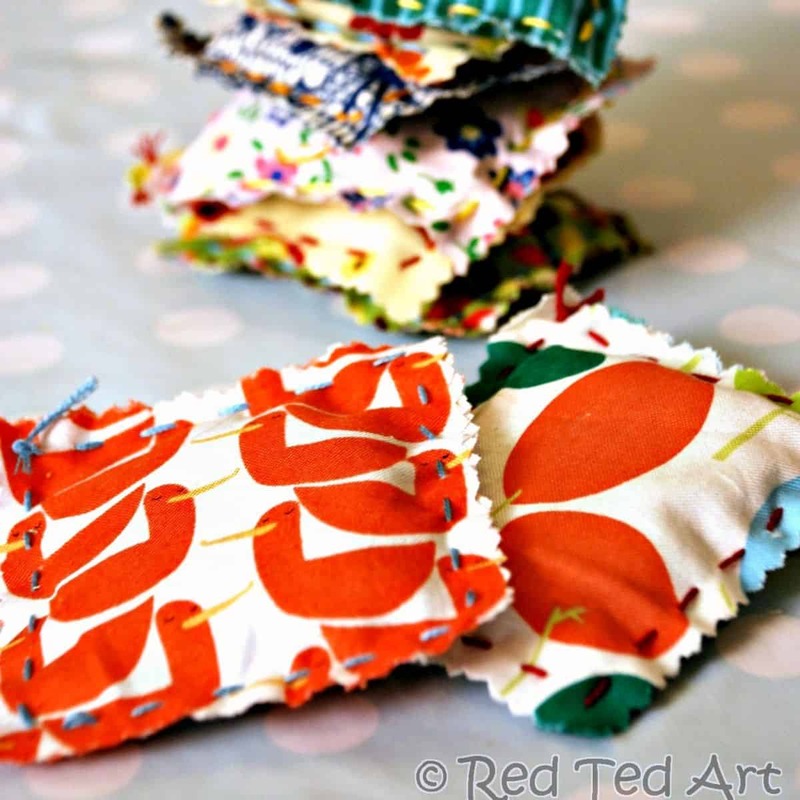 These lavender sachets smell so nice and are a great way to use up scraps of fabrics for kids to practice their sewing skills. 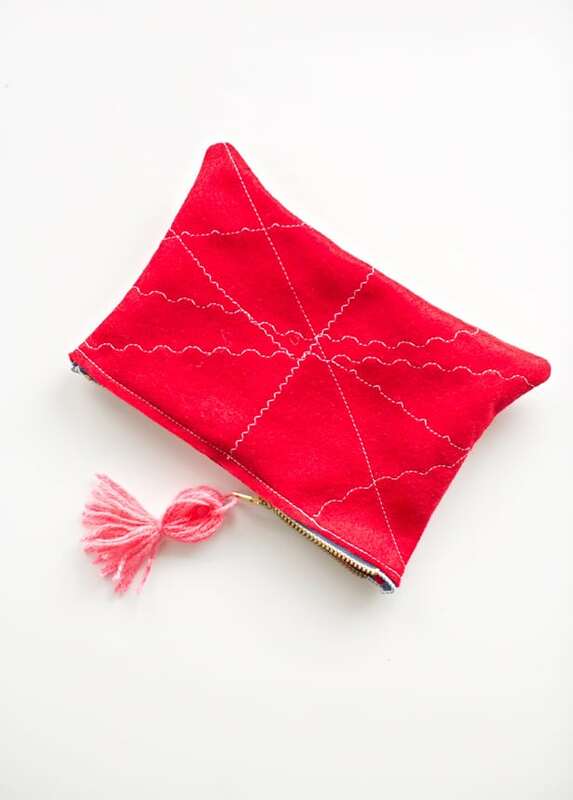 Here’s a great beginner project for little sewers that double as functional tissue pouch holders. 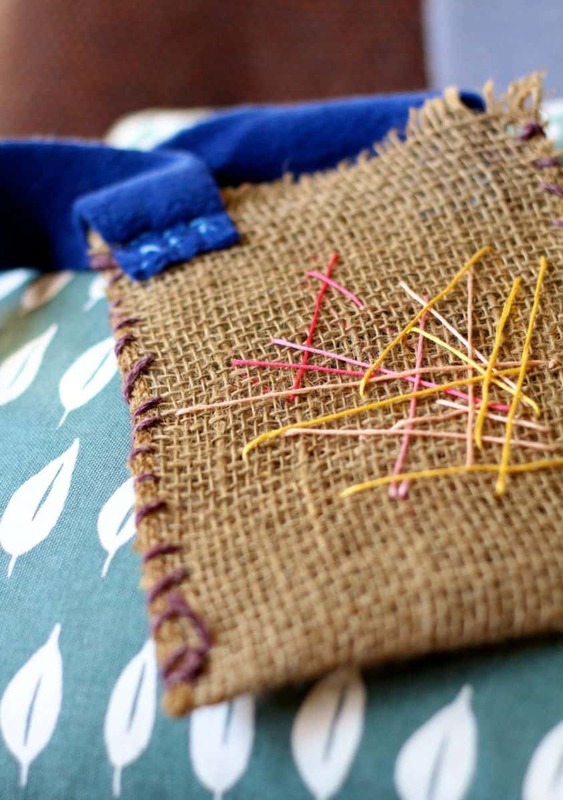 Get ready to go on mini adventures with this cute stitched burlap treasure bag kids can make. 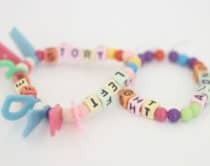 This is one of the first projects I made with my daughter and was so simple. You can involve kids by letting them cut out any shape felt and running it through the machine in one straight line. 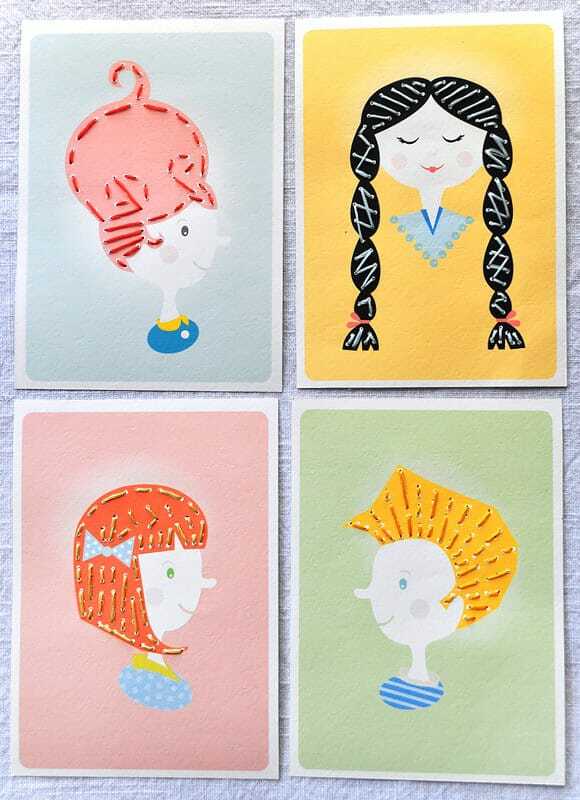 How adorable are these portrait cards? 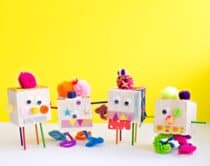 Kids will love threading through the details on the hairdos of these whimsical faces. 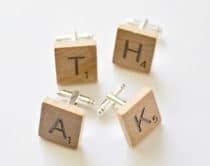 Do you enjoy sewing with your kids? 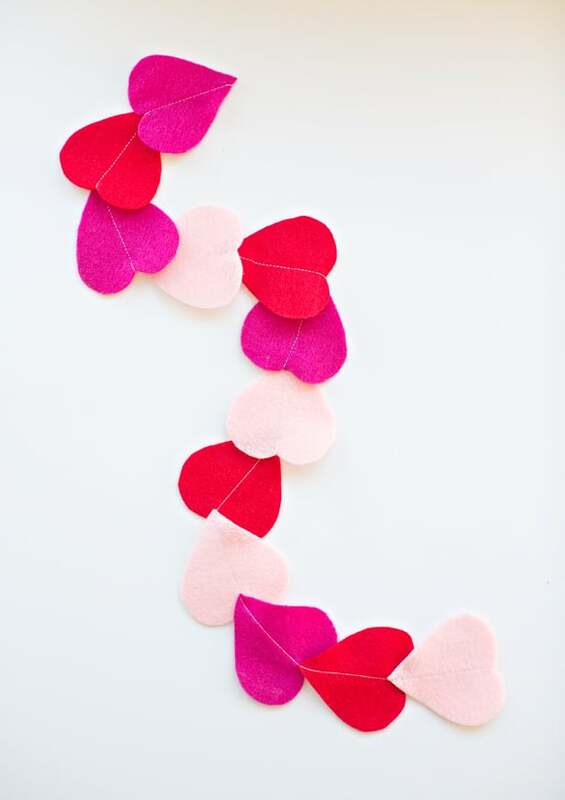 We’d love to hear your favorite easy sewing projects in the comments! 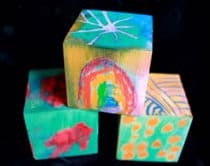 Take a look here for more creative ideas for kids!